← The Scariest Halloween House in Raleigh! Vote for The Wandering Sheppard ~ Best Local Food Truck Blog! If you are a fan of the Triangle Food Truck Scene there is no better source of information that my friend and fellow blogger Art Sheppard and his blog The Wandering Sheppard. 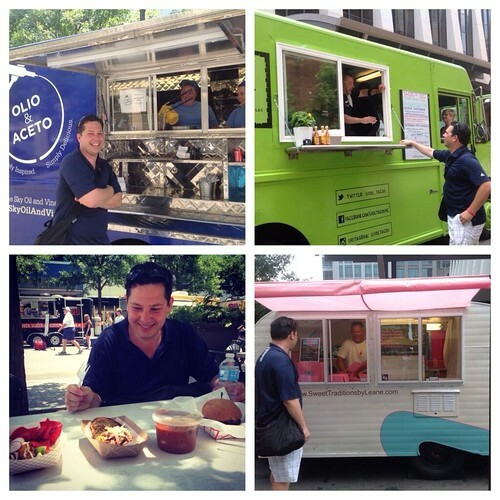 Art keeps the Triangle up to date on all the weekly food truck events, announcements of new trucks, and provides the real stories about the people behind the trucks in his weekly “Behind the Wheel” series. Blogging is a labor of love, but it is always nice to get some recognition for your hard work. Please take a moment and join me in supporting my friend Art by voting for his blog as the Best Local Food Truck blog on the mobile cuisine website. You can vote through this Friday November 7th. It only takes a few seconds and your vote would be greatly appreciated. Thank you! !